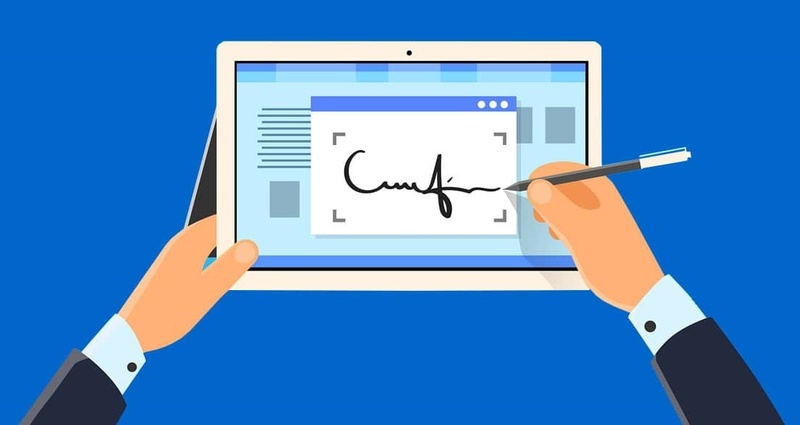 As more and more businesses automate their processes, the need to evolve from handwritten to electronic signatures has become increasingly crucial. Handwritten or wet-ink signatures tend to slow down processes because they are mostly dependent on the signatory’s presence and most notably, the exchange of paper. Here are a few reasons why obtaining an online signature is better than a handwritten one. Even when you receive an original document signed by wet-ink signatures, you can’t be 100% confident that it was actually executed by the right person, or if it hasn’t been altered along the way since wet-ink signatures can be easily forged. On the contrary, with esignatures, only the relevant parties can be in a position to sign a document, given that they are the only ones who can access a private key, handy in executing the signature. Basically, with such a technology, it is impossible for someone to allege that their signature on a document has been copied or forged. Imagine the document you are supposed to sign as a “lock” and your signature as a “key”. Whenever anybody alters the document unnecessarily, the “key” will not disengage the “lock” making the document invalid. Actually, this is what makes it perfect for digital esignatures to stand up in court. Unlike in the case of handwritten signatures, where paper usage is a must, electronic signatures need less ink, paper, and postage resources. Additionally, a lot of businesses save data electronically, eliminating the need for storage space. Most notably, employees save a lot of time when they file and sign documents online since there are fewer trips made to the mailbox, printer, and storage room. Electronic signatures speed up most business processes since nearly all documents can be executed electronically. Reduced paper processing, printing, filing, faxing and mailing. Well, as you have noticed, electronic signatures better fit modern business practices than dated paper-based workflows. Reason being, they integrate flawlessly into the way many organizations conduct business. It’s obvious when there is an option of using superior technology to draft, edit, sign, and send multiple versions of a document, then there is no need to adopt unfriendly environment practices to print numerous paper copies, sign and send the document. With electronic signature software, you can execute an agreement/contract fast online while saving significantly in next day mail delivery and staying legally compliant.